Matcha, the finely ground, bright emerald-green tea powder is also called Maccha. So far, in the history of the Japanese culture, there is no other powdered green tea that can be compared to Matcha Green Tea in terms of superior quality. This tea is sourced from the nutrient-sufficient young leaves found at the tips of shade-grown Camellia sinensis plants. The processing of this Green Tea involves steaming, stemming, and de-vining before it is then stone-ground to give a very fine powder. Next is the preservation of its antioxidant properties and the brilliant green colour, and this is done by storing away from oxygen and light. In the Far East, this so-called ‘miracle elixir’ has been the favourite of many for over a millennium, and is now numbered amongst the most powerful super foods in today’s market. For more than 900 years, the popular Japanese tea ceremony has been celebrated because of this natural, organic green tea. Because of it’s potential, Matcha tea is honoured by the Buddhist monks as the ‘health elixir’, being able to improve metabolism. Tencha, a high-quality shade-grown leaf is what is harvested to prepare Matcha. For maximum yield of the plant, shelters are built around the tea bushes to prevent exposure to direct solar radiation, which slows down the plant’s growth through a reduction in the rate of photosynthesis. 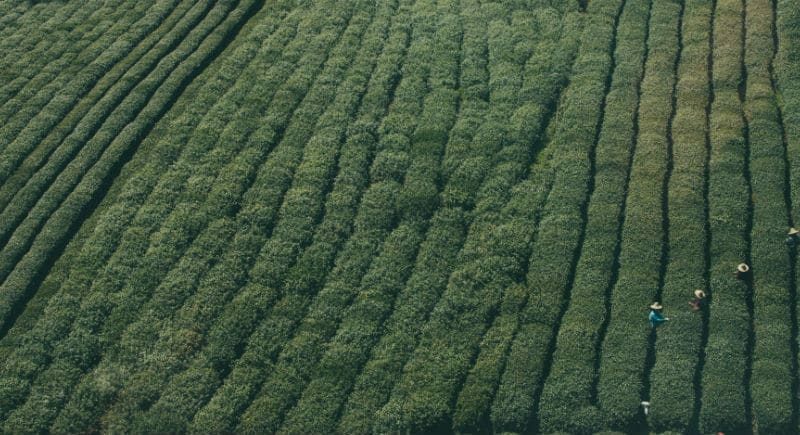 Proper shading of the tea bushes ensures that the leaves have a darker shade of green and also activates amino acids and chlorophyll production. For the best quality tea to be achieved, Matcha is harvested by hand and only the smallest and youngest leaves are selected. In contrast to other green teas, oxidation is usually prevented and the flavour and nutritional composition preserved by a brief steaming of the leaves used in making Matcha. The Tencha leaves are them made to undergo an ultra-fine milling process using granite stone mills to yield a beautiful green powder that is then used as the raw material for the miracle elixir. After many years of being appreciated in Japan, Matcha is now gaining entrance into the western society, especially for its special flavour and extraordinary therapeutic qualities. Over the years, Matcha has been honoured for its richness in vitamin A, vitamin B-complex, vitamin C, Vitamin E, vitamin K and trace minerals. Matcha also components, such as catechins, polyphenols, and chlorophyll that give it super antioxidant property. Matcha is considered a nutrient-packed drink because of the presence of theophylline and L-theanine amino acids in it. Other tea that requires that their leaves are steeped in water are not consumed with the leaves. That is, the leaves are removed and some (if not most) of the nutrient is lost in the process. However, the processing of Matcha tea shows that the whole leave is ingested and the body has access to all the nutrients available in the leaf. This is exactly what gives Matcha such a rich nutrient profile, making it a super tea. There is inferior Matcha with characteristic bitter taste. However, Happy Matcha releases natural sweetness and is known to have a creamy texture and a mild astringent property. To prepare, you may simply mix with hot water to make into an enjoyable green tea latte, or taken with Matcha sweets and smoothies.